"Processing Using Adobe Camera Raw"
I like to think of processing the files in Adobe Camera Raw as analogous to processing traditional film; however, there are many advantages to working digitally. For example, you can process a file multiple times with different instructions and then composite the images to create an ideal negative. When processing digital camera captures, the main advantages Photoshop CS2's Adobe Camera Raw offers are control and flexibilityit can correct individual images and also batch processes multiple raw files. By capturing images in the camera's raw format, I can change the settings for processing the files without permanently changing the original images. 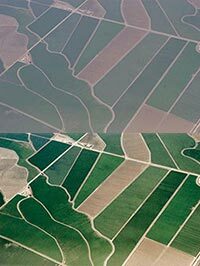 As you can see from the pre- and post-processed images (below), the raw images captured at 30,000 feet through airplane windows need a significant amount of adjustment. Their dynamic range is uncharacteristically narrow, their appearance dull, dreary, and uninteresting. I begin by selecting the file (or files) that I want to process in Bridge and choosing File > Open in Camera Raw. Then I adjust the white balance and exposure of the first image. To eliminate any unwanted color casts, I use the White Balance tool to click on an area of the image that should be neutral. If there weren't any neutral areas in original scene, I use the Temperature and Tint sliders to visually correct the white balance. I find the Auto Adjustments provide a good starting point, so I leave them all turned on in the Adjustments panel and refine the image from there. If necessary, I use the Exposure and Shadows sliders to set the black and white points of the image, thereby extending its dynamic range. I monitor these changes with the histogram preview and clipping warnings for highlights and shadows. Sometimes, as a result of making such dramatic changes to the dynamic range, the white balance requires a slight readjustment; I use the White Balance tool or the Temperature and Tint sliders to fine-tune it. In the Details panel, I turn off sharpening by setting the slider to zero; I prefer to sharpen my images in Photoshop CS2 (using Unsharp Mask or Smart Sharpen) so that I can sharpen explicitly for the printer, inks, and paper that I plan to use. Because these images required such dramatic adjustments, any noise that appeared in the images was amplified. Since these images were already a little soft by virtue of the subject matter, increasing the Luminance Smoothing to 25 (to remove noise in the gray values) and the Color Noise Reduction slider to 50 removed the noise without significant loss of detail. On occasion, I also use the Lens panel to add a subtle vignette to an image by slightly darkening the edges. After making all of my adjustments, I set the Workflow Options to open the files into the Adobe RGB (1998) working space (the space in which I characteristically work) in 16-bit. I usually open them at their native capture size, but if I know I'll be printing an image larger than the native capture size, I resample the image up using the Camera Raw size options. If, on the other hand, I'm not sure whether I will need to print the image at a larger size, I open it at its native size. This avoids resampling the image up and then down unnecessarily and allows me to work more quickly because it's a smaller file. After finalizing the settings and the Workflow Options, I may open the files in Photoshop, save them in another format, or select Done to apply the new processing settings to the files. Copyright © 2005 The llex Press Limited - All rights reserved. No part of this book may be reproduced in any form, by photostat, microfilm, xerography, or any other means, or incorporated into any information retrieval system, either electronic or mechanical, without the written permission of the copyright owner. See more Sample Chapters from Window Seat. Photoshop CS4 and Photoshop CS4 Extended feature a newly refined, tab-based interface in a single, integrated window, with self-adjusting panels arranged in docked groups. Automatically keeping tools well organized and away from your work area means you get greater efficiency, less clutter, and better results, faster than before. Delivering all the features of Adobe Photoshop CS4 software, including the new Adjustments and Masks panels, Adobe Photoshop CS4 Extended also provides breakthrough 3D editing and compositing power to paint directly on 3D models, create 3D animations, convert 2D images to 3D objects, and more; richer motion graphics editing; and more powerful and flexible image analysis and tracking. Learn more on our Photoshop CS4 Tutorials Page. To download the free trial, see details on our Photoshop CS4 Free Trial Download Page. Julieanne Kost is a Photoshop evangelist for Adobe. Her teaching commitments take her virtually across the globe, as she flies from destination to destination. 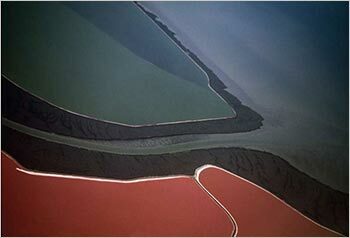 In this book - Window Seat: The Art of Digital Photography & Creative Thinking - she has taken a collection of photographs that she's shot through the panes of glass of her airplane window seats, and gone on to create a book that offers a blend of professional expertise and inspiration for waning creativity. Our in-flight behavior varies greatly - many of us choose to take a nap while trying to avoid leaning too far into our seatmate's lap, while others watch the tiny drop-down screen and its offerings of archived news clips. Ms. Kost, on the other hand, uses the air travel time that we all-too-often squander in a vastly different way. She uses, to her creative advantage, the unique perspective offered from 35,000 feet as she collects a variety of photos taken through her window. Window Seat is more than simply a collection of beautiful images, though far be it for us to undermine the often breathtaking aesthetic appeal of Ms. Kost's photography. However, she has an underlying purpose to her artistic renderings  not only does she seek to share many of the insights that she has garnered over her years of work as a creative professional, but she also offers some valuable reflections on the nature of ingenuity itself. 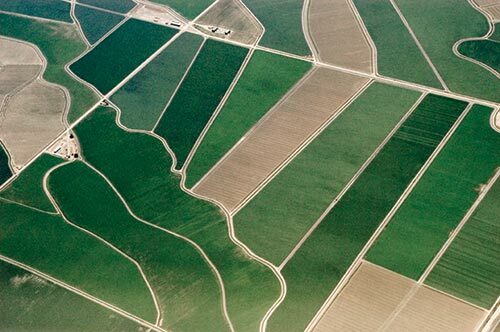 Indeed, the Window Seat photographs speak as a metaphor to her essential message  that all it takes is a simple change in awareness and perspective to awaken and sustain the creativity that often eludes even the most prolific among us. It isn't meant to be an expert's instructional manual or an artist's complete portfolio, nor is it intended to be a guru's manifesto. 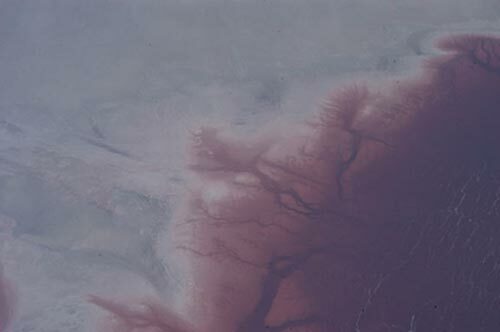 What Ms. Kost has accomplished with Window Seat is a unique blend of all three, as she shares her talent, her insight and her work in a quest to remind us all why we create, and to help us when the flow of ideas begins to stagnate. 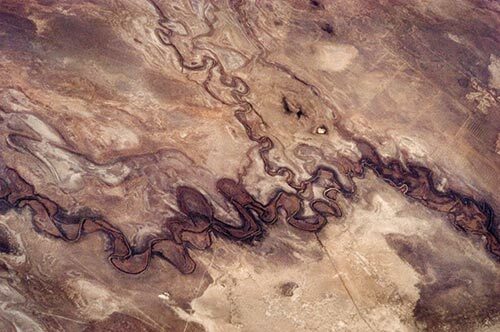 Take a look out of your very own window seat, open your eyes a little bit wider  as Ms. Kost intonates, and you may well be surprised by what you see. 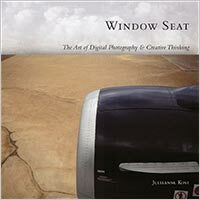 Buy Window Seat: The Art of Digital Photography & Creative Thinking at Amazon.com for $26.39 (34% special offer discount).